Joia Brasil is a company created to promote Brazilian jewelry. Design is a key element in the concepts fashion / beauty / art / business, and each edition, advances in strengthening this philosophy. Luxury guest appearences, such awardees of Anglogold Ashanti, artists as Juarez Machado and Tunga and homages to Portinari, fashion designer Zuzu Angel and great jewelers like Burle Max, Lucien Finkelstein, Marcio Mattar Caio Mourão and Clementina Duarte have given a strong position to the brand. See the Brazilian editions by clicking here. In 2017, Joia Brasil celebrated 15 years in his third edition at IDA (Rio Design Fair), an ArtRio event and his 18th edition in Rio de Janeiro. Joia Brasil exports success: Editions at Liberty, London; Birks, Toronto and Montreal; Arthmosphere in Palm Beach; Printemps in Paris; three shows at Los Angeles Brazilian Film Festival and at BrazilFoundation Gala in New York. See the international editions by clicking here. 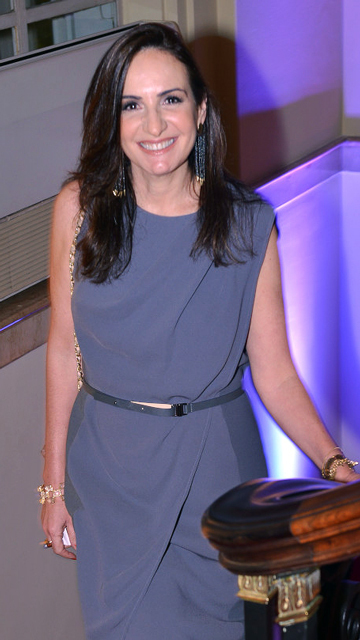 Anna Clara Tenenbaum is the creator and curator of Joia Brasil. Always with the participation of renowned brands on the market, Joia Brasil, also launches young artists, taking the new brazilians designers abroad. In 2013, Anna Clara has created another project for artists and jewelers: JoiArt in partnership with Kika Gama Lobo, held at Fashion Mall Shopping. It has already two editions. See the two editions of JoiArt by clicking here. Since 2009, Anna Clara Tenenbaum has been curating Joia da Casa for Casa Cor Rio. See Joia da Casa by clicking here. Until 2013 did the Bling Bling exhibition, a partnership with Martha Micheli, at decoration fair Morar Mais in Rio de Janeiro.